After the formal funeral service, many people welcome the chance to pass on their condolences and share memories of the person you’re saying goodbye to. 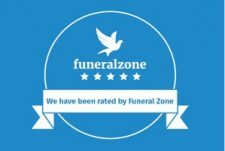 We can help you find an appropriate venue for a funeral tea or wake, and can offer advice on how best to plan it. We work with several experienced venues and caterers who guarantee dignified and discreet service. If you would prefer to gather in a location that holds personal memories, we can also arrange appropriate outside catering or simply liaise with the venue on your behalf.